Protection needs to be taken seriously, especially when it comes to your home and your personal information on the Internet. At the same time, you can’t really rig a full security system on a rural home. The true problem to making sure that your home has enough surveillance lies in the budget, as standard cameras are not a cheap investment. Of course, there are other ways to ensure that your home remains safe, and if it does get broken into, you get the footage you need to protect yourself. Here are the best security camera software programs out there. 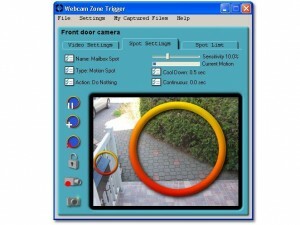 Your computer can serve a much purpose than looking at cat pictures and fail videos, and Webcam Zone Trigger illustrates that very well. You see, this piece of software is programmed to flicker to life when it senses movement, and then records it when necessary. The unfortunate draw back is that it doesn’t support night vision. If you’re going for a more basic feel to your surveillance, and you prefer the CCTV style recording, then CAM Wizards should be the program you’re looking at. It boasts email notifications and is very simple to use. The program ends up being the best choice for beginners. This program is a little more detailed than its brothers as there are few more features to the main software. Stealth mode is probably the best reason why you should pick JaxCam up, as it becomes very unobtrusive with a touch of a button. It’ll will also take care of the task of encoding videos in real time, so you won’t have to worry about playing the output after. NETObserve is a bit of a dangerous prospect as it can be misconstrued as a spy camera program. 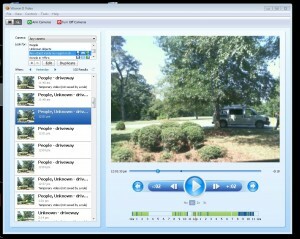 In reality, it functions much better as surveillance software because you can install it at home and watch from home. At the same time, it can also function as a means to keep tabs of your kids’ activities during the day as it comes equipped with screenshot capture and a keylogger. 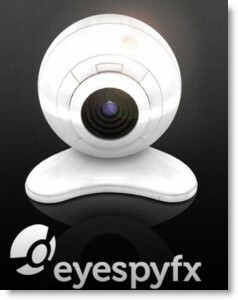 Yet another program that can be mistake for spyware, EyeSpyFX functions much like the program above. 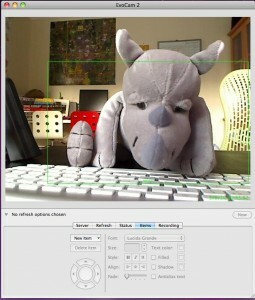 However, it allows the user to tilt the camera as long as it is a Logitech Orbit or one of the Creative Live cameras. In either case, it still streams to your blackberry or iPhone and ensures that images that were captured are played in proper sequence. For users of Linux, you might find that there are a lot of programs, which won’t work with your OS. Before you start downloading a Virtual Box Program, you might want to consider ZoneMinder. 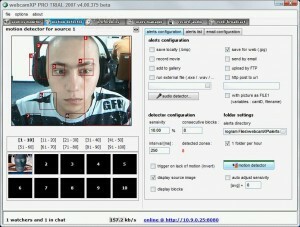 The software has the ability to capture and analyze live footage, and can be used in tandem with several cameras attached to Linux machines. For the MacOSX there’s EvoCam to turn to when it comes to surveillance. The program is efficient as it can stream video almost immediately, can be put to work with networked cameras, and is generally one of the best options you have when it comes to home protection. This program is almost like a watchdog when it comes to surveillance. It can run 24 hours a day and 7 days a week, provided that your computer has enough space to maintain that many compressed videos. The videos themselves are recorded with audio, which is a bonus for those that really want a detailed video output. Vitamin D has a lot going for it in terms of how it can serve as a surveillance software. It has motion detection, a playback option, and it stores videos in an organized manner. On top of that, it can also distinguish between human movements, meaning inanimate objects that get caught on camera don’t even register. It’s also free as long as you don’t need to network more cameras. This program is on the top spot of this list for a very big reason, and that is because it is free. Unlike Vitamin D, you won’t need to buy the licensed version in order to network several cameras. As long as your main computer has the established connections, you can observe up to 6 cameras at a time. It also boasts the ability to pan cameras that support that feature. *WebcamXP is NOT free and it feels unintuitive. There are better programs. thanks for the heads up. What do you think is a better program? Vitamin D is damn good except it does not do sound and its expensive. They will cut you a deal on the price. I like it! yep! I would definitely add Xeoma to the list! At this time i am using Cam wizard. 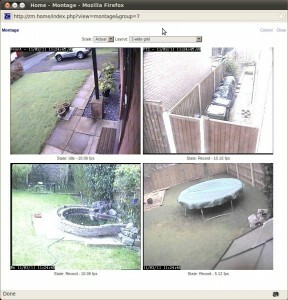 It is really great software for the Security Camera. I can’t face any single problem with it. god dam folks, isn’t there ANY linux cam software out there that WORKS???? I would like to add one more to this list. 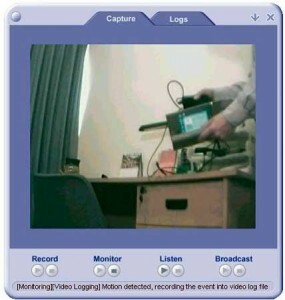 WebCam Monitor, webcam surveillance software, provides advanced feature such as motion detected video recording, and mobile phone alerts with pictures.